This exclusive listing offers the opportunity to purchase a stabilized, multifamily asset. Boca Sol Apartments is located in the renowned City of Boca Raton Florida. The property consists of 5 apartment buildings and 1 club house/leasing office. With 90 units and 3 different floor plans that include 36 small one bedroom/one bath units, 16 large one bedroom/one bath units, and 38 two bedroom/one bath units. 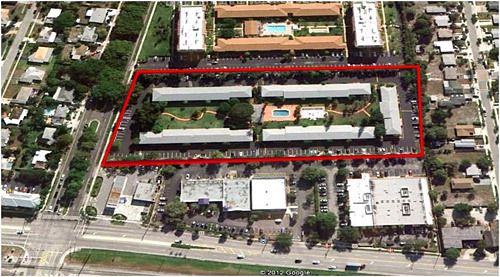 Situated in East Boca Raton, Boca Sol is conveniently located to FAU and major employers. -Turn Left and Head North on Dixie Highway. -Turn Right to NE 20th St.